Your smile may be a small portion of your appearance, but it is arguably one of the most important ones. Your smile can make a lasting impression – either a good one or a bad one. Plenty of research has gone into the impact of a smile, showing that individuals with warm, attractive smiles and white teeth are perceived as happier, more put together, and more successful. Liking your smile can go a long way in improving your confidence and self-esteem, causing you to engage more in both personal and professional environments. So, what do you do if your smile is less than stellar? Well, many patients often turn to teeth whitening to dramatically impact their smiles quickly. While teeth whitening is an excellent solution, it only improves the color of your teeth. If you have imperfections such as cracks, chips, gaps, uneven lengths, or permanent staining, you may be a better candidate for porcelain veneers. This cosmetic dental solution involves the permanent bonding of thin strips of porcelain to the teeth to completely transform the smile, and is the solution to improving a wide variety of common cosmetic problems. The team at Levenson Smile in Worcester, MA is proud to offer porcelain veneers to our patients who wish to invest in the beauty of their smiles. Let’s take a deeper look at veneers. Veneers are thin pieces of porcelain that are permanently attached to your existing teeth to mask specific imperfections. Porcelain is used because it’s a strong ceramic material that closely resembles natural tooth enamel. 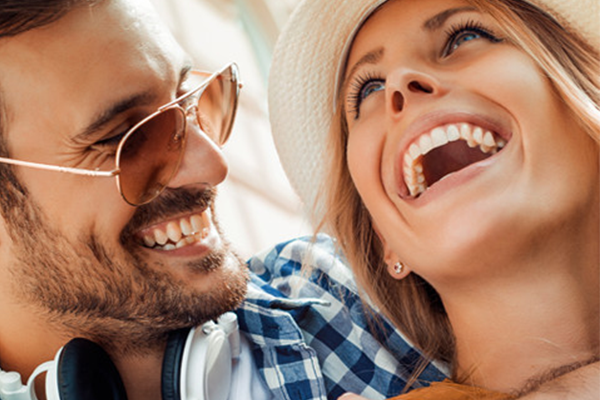 Veneers can be fabricated in a wide variety of colors, shapes, and lengths to enhance your unique smile while still looking natural and proportionate. They can be used on a single tooth or all your visible teeth for a true smile makeover. After Dr. Levenson has determined you are a candidate for porcelain veneers, the teeth must be prepared. Preparation involves removing a small layer of enamel to allow room for the veneers to be placed properly and not cause bulk. Local anesthetic is used to eliminate any discomfort during this part. Impressions are taken and sent to the lab where your unique set of veneers will be made. Temporary veneers may be placed, depending on how many teeth are receiving veneers and how much enamel has been removed. Once your final veneers are ready, you will return to the office for placement. First, the veneers will be temporarily placed on the teeth to confirm proper size, shape, and color. Minor adjustments can often be made in our office when necessary. Once we are happy with the fit of the veneers, they will be permanently bonded to the front of the teeth. Because porcelain veneers are uniquely fabricated for each patient, they are extremely natural looking. Most people cannot tell the difference between a veneer and a natural tooth. Porcelain is stain resistant, which means your new smile will remain bright white. With proper oral care and regular exams and dental cleanings, porcelain veneers can last for many years. It’s important to note that you cannot fix a chipped or broken veneer, which means it’s important to avoid biting or chewing on hard objects. Do not use your teeth to open packages and try to eliminate habits such as clenching your teeth. Oral hygiene with veneers is the same as it is for your natural teeth. Brush twice each day and floss once each day using a non-abrasive toothpaste. SO, SHOULD I CHOOSE WHITENING OR VENEERS? There are many factors to consider when determining which cosmetic procedure is best for you. If discoloration is your only issue, teeth whitening may be the best choice. 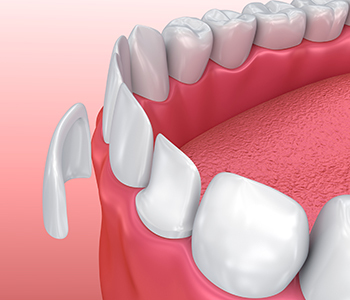 If the problem is crooked teeth or gaps in the smile, orthodontic treatment may be a solution. If there are serious imperfections with one or more teeth, porcelain veneers may indeed be the right answer. At Levenson Smile you can be sure that our team will perform a thorough evaluation and will recommend the solution that is the best fit for your need, budget, and lifestyle. To learn more about porcelain veneers, call us at (855) 849-8255.